Former Clinton Admin. 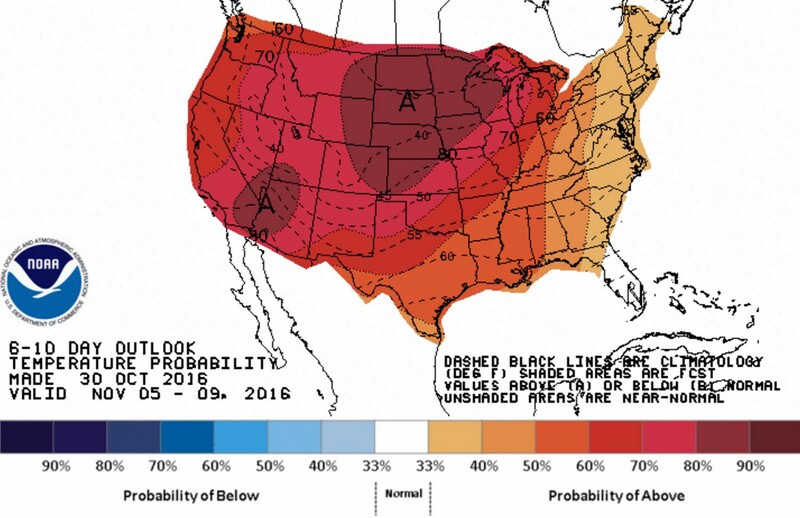 official Joe Romm claims 'unusual warmth' over the next 10 days 'will see near-ideal temps' for voters. Romm continued: “Instead of seeing the kind of cold, harsh November weather that can keep some people home, most Americans who vote early or on election day will see near-ideal temps. That’s especially important since ‘nearly half of Americans live in precincts where long lines’ to vote were a problem in the 2012 election.